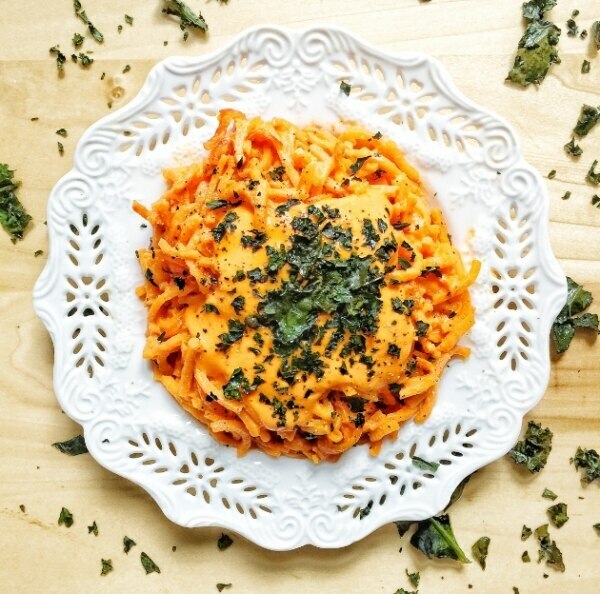 Yes, there’s a way to get your pasta fix that’s healthy for you and satisfying for your taste buds. 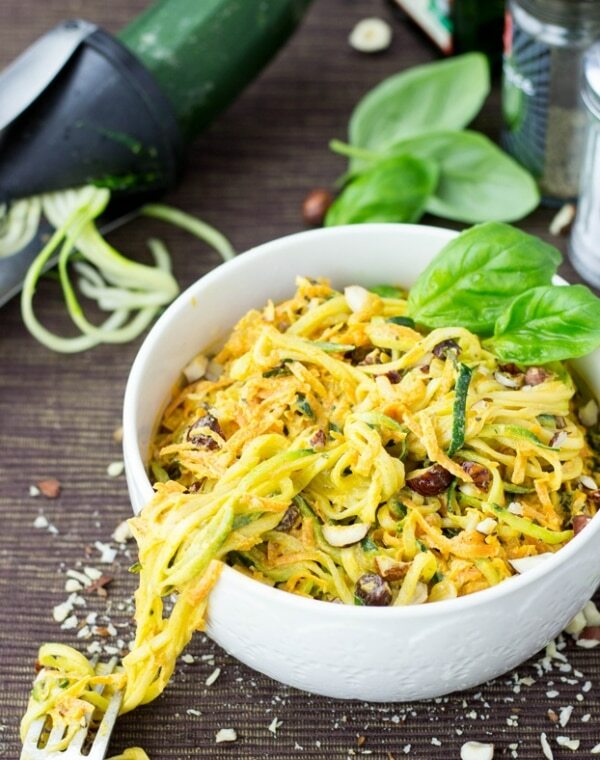 Veggie noodles (also called “zoodles” for the zucchini variety) are a delicious substitute for the wheat variety. 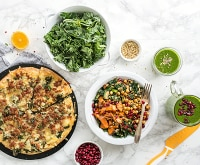 Whether you’re a fully committed vegetarian, practice meatless Mondays, or are just looking to up your veggie intake, these pasta dishes are sure to delight you and your entire family. Can’t get enough veggies — or maybe you need more veggies in your life? 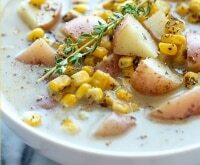 Try these 8 tips for making any Crock Pot recipe vegetarian, then try cooking up one of these vegetarian Crock Pot soups. For a healthy side, make a fancy feast of these 7 irresistible fall vegetables! A spiralizer will make it easy to create noodles from a range of veggies, but you can do it with a peeler and some patience as well. Grab some Amazon coupons and shop for spiralizers online! 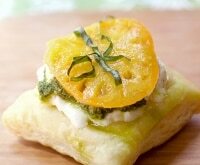 The sweet and buttery flavor of butternut squash in this dish is the perfect base for savory pesto, juicy tomatoes, and a sprinkling of tangy goat cheese. You could use store-bought pesto or make your own. Set a large pot of salted water on the stove to boil. First, make the butternut squash noodles. 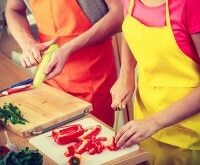 You can use a spiralizer or vegetable peeler. If using a peeler, remove the skin first, then slice along the length of the squash so you have long, thin strips. It’s difficult to get strips from top to bottom, so you can slice up the thin top first, then work on the round bottom. The noodles will be a bit shorter, but that’s fine! 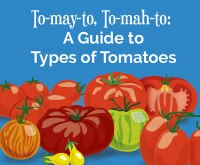 Cut up the cherry tomatoes into halves or quarters depending on your preference. Once the water is boiling, cook the noodles for about 90 seconds. Be sure to not cook them for longer or they’ll get mushy. 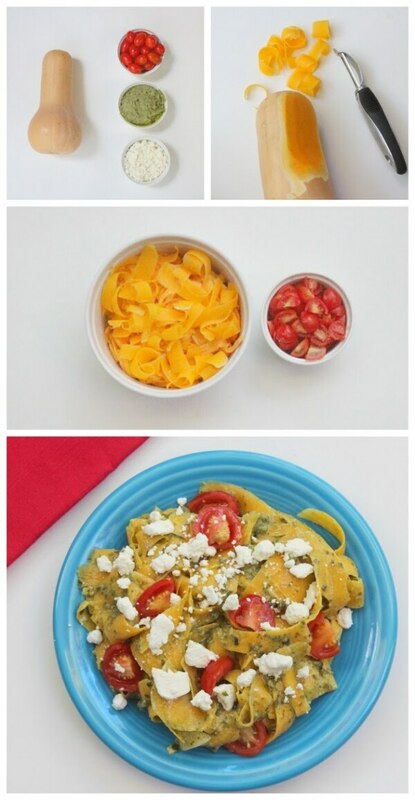 Strain the noodles, transfer to a large bowl, and stir in the pesto and cherry tomato pieces. Sprinkle goat cheese on top before serving. 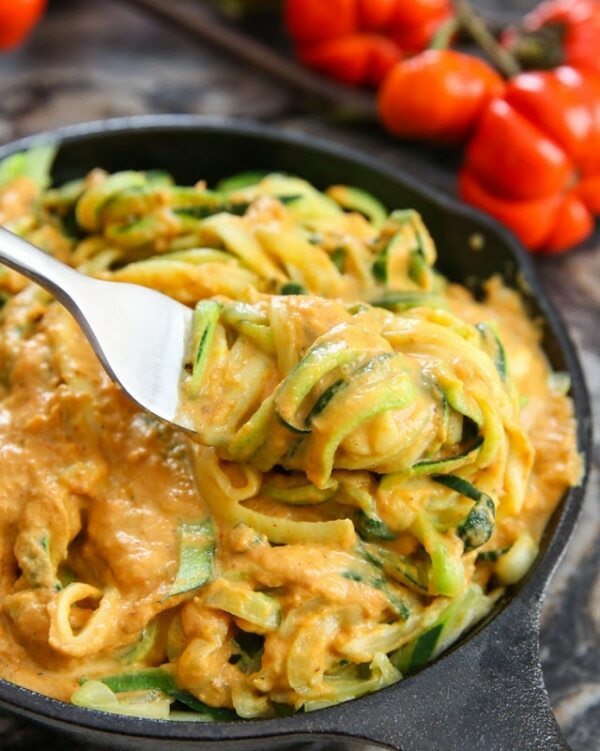 Zucchini noodles, or zoodles, are the perfect fall and winter dish when covered in a pumpkin curry sauce. 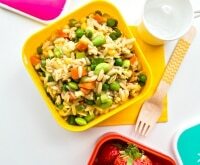 This light and flavorful meal would work well for lunch. 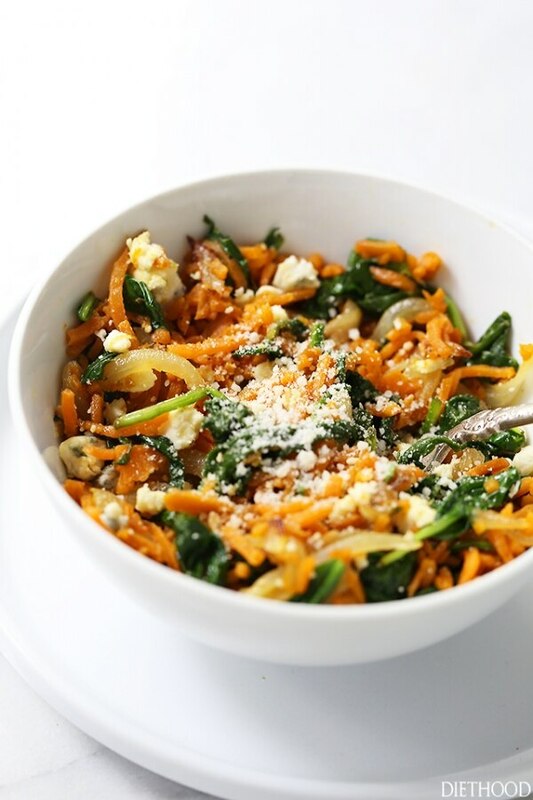 This simple, healthy, and tasty dish is made by sautéing spiralized sweet potatoes with onions and garlic, then adding a bag of spinach, fresh herbs, and Parmesan cheese. That’s right — no sauce needed! 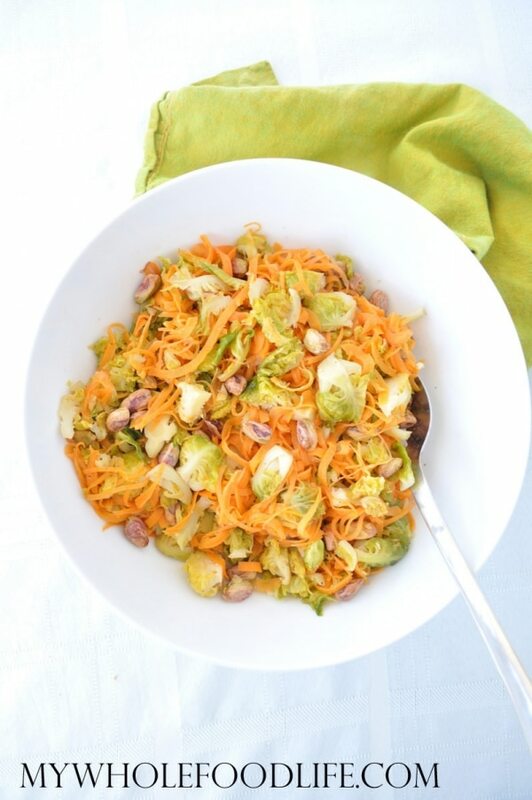 This pasta is nothing but goodness — veggies, more veggies, and a healthy dose of nuts. The varying ingredients compliment one another, creating bursts of flavor that will make your taste buds very happy. No need to dial takeout to get your Thai food fix! 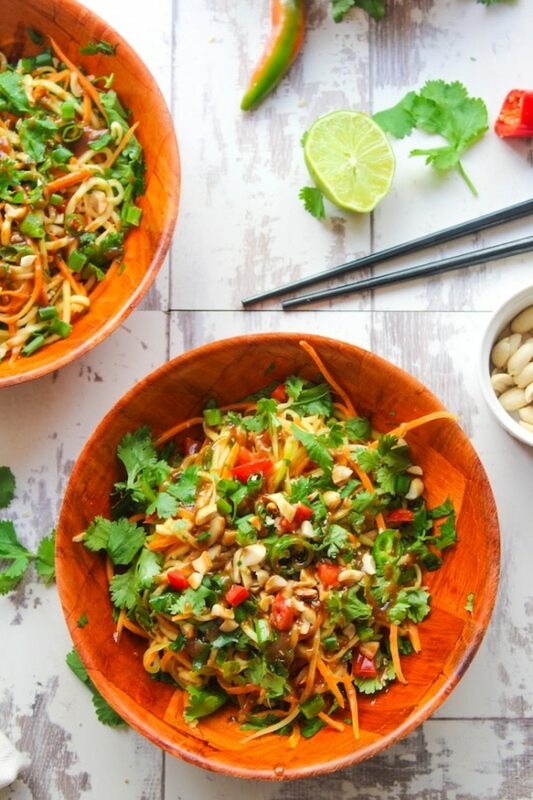 This flavorful pad thai has a carrot and zucchini base, and it’s covered in a peanut sauce that’s both sweet and savory. 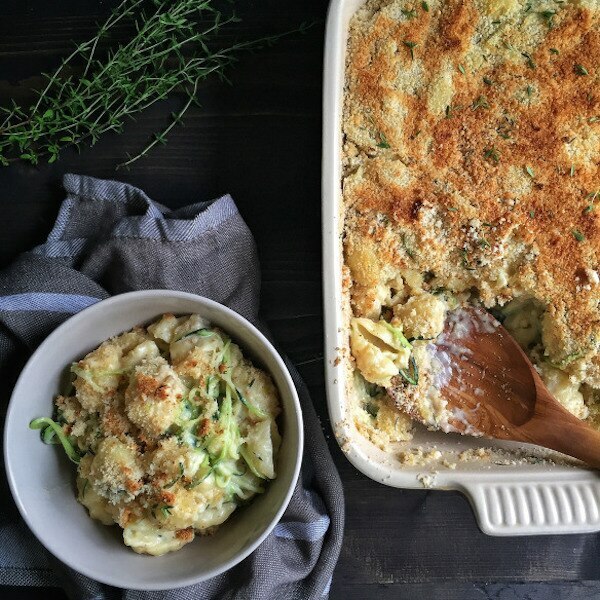 All the tastiness of mac and cheese with a (little) less of the guilt. Using zucchini noodles means it’s OK to cover them in a sauce full of cheese, flour, and butter (right)? Forget ground beef — toasted chickpeas give this bolognese a rich and hearty flavor. This dish is easy enough to whip up for a weeknight meal and filling enough to satisfy the whole family. 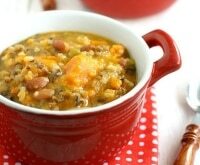 The combination of lentils and mushrooms is another brilliant meat substitution. 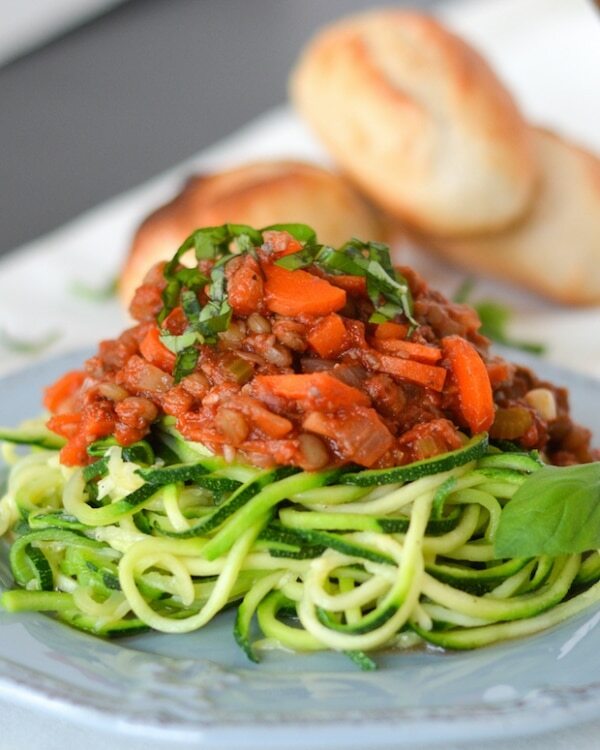 Served over zoodles, it’s both hearty and heart-healthy. 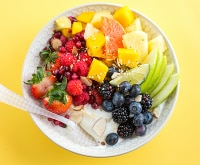 This light and tasty dish gets its delicate flavor from sesame oil, hoisin sauce, soy sauce, orange juice, and ginger. 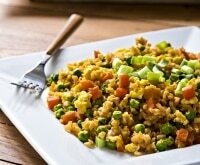 It would make for a lovely light lunch or side dish. 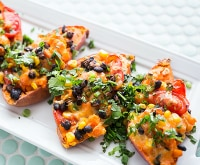 Sweet potatoes are scrumptious when covered in an easy-to-make red pepper sauce. Crispy kale adds texture and just the right amount of saltiness. 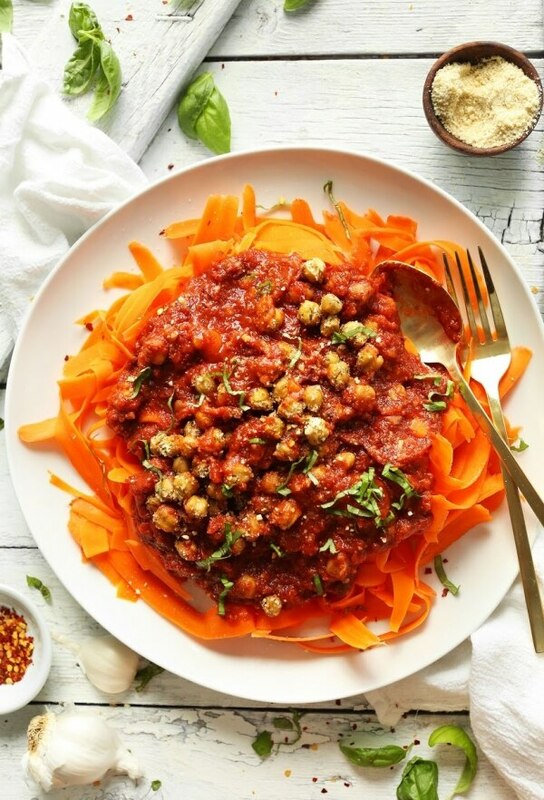 You could add chickpeas for a bit more protein. 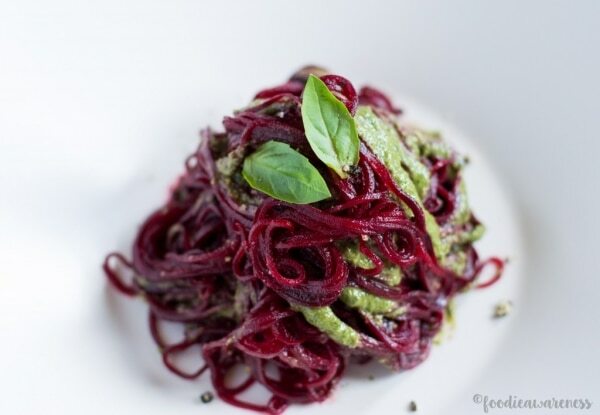 Not only do these beet noodles look beautiful and taste delicious, but they’re packed with nutrients and antioxidants. Toss them in a pesto sauce made with walnuts rather than the usual pine nuts. 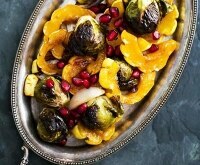 Brussels sprouts and sweet potato are sautéed together in a maple glaze for this sweet and savory dish that’s vegan, gluten-free, and paleo. The pistachios give it a touch of protein and satisfying crunch. 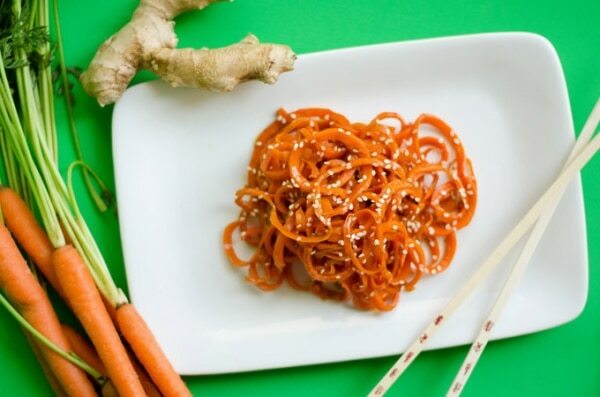 WIth these creative veggie noodle and zoodle recipes, you won’t be missing grains or meat. Zoodles and veggie noodles make getting your daily dose of vegetables a pleasure so your whole family will be eating healthy and enjoying it!